Isobar has proven its credentials as one of Fast Company’s Top 10 Most Innovative Companies in AR/VR, launching the world’s first Cat VR on 1st April 2018, in partnership with Zoos Victoria and the RSPCA in Australia. Faced with alarming statistics around the environmental impact of domestic Cats in Australia, Zoos Victoria briefed Isobar on a campaign to encourage pet owners to keep their furry friends indoors. With pet cats killing 377 million birds in Australia each year, and one in five cats that go missing never returning home, Isobar needed to create a compelling way to keep Aussie cats safe. Enter ‘Cat VR’, the world’s first – and tiniest – Virtual Reality experience, providing cats with unique experiences that excite their senses. Via a miniature headset, Cat VR gives cats the chance to run around fish markets, play with giant yarn balls, hang out in a world made of cardboard boxes and chase laser pointers – all in the comfort of their own home. Supporting the immersive experience for cats is a website designed to create a community of cat lovers sharing tips and advice on how to offer a safe and enriching life for cats inside, and a safer environment for native wildlife outside. The tongue-in-cheek campaign is a great example of Isobar’s ability to couple clever use of technology with fun creative, and the team at Zoos Victoria is thrilled with the result. 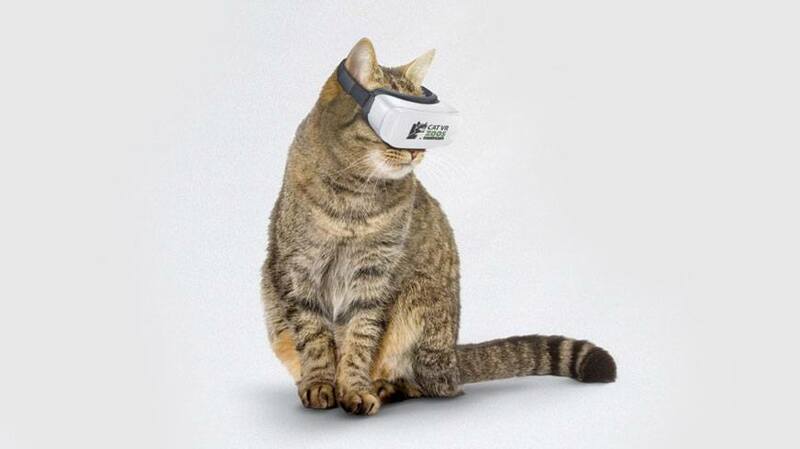 You can learn more about Cat VR, download Isobar’s white paper and pre-order a headset for your feline friends here: www.pvrr.tech.